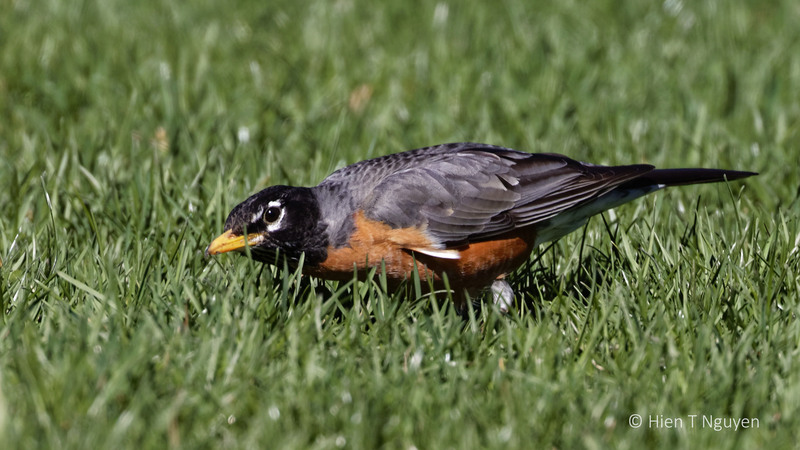 Two different kinds of birds, an American Robin and a Great Egret, with two different ways of finding food. 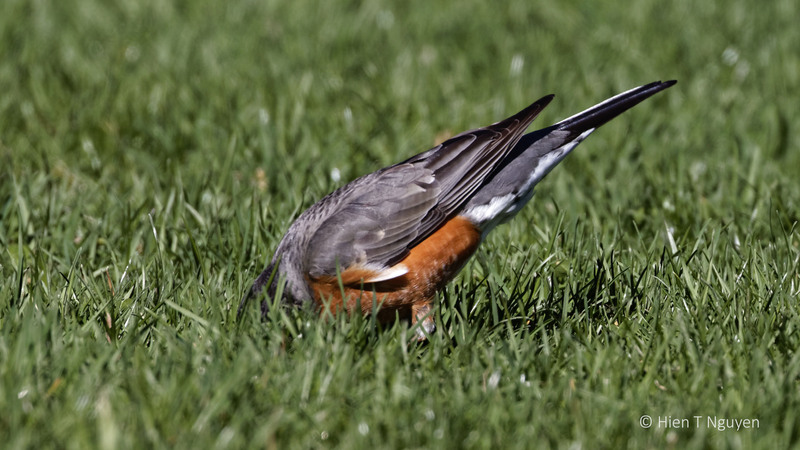 Male American Robin looking for worm. 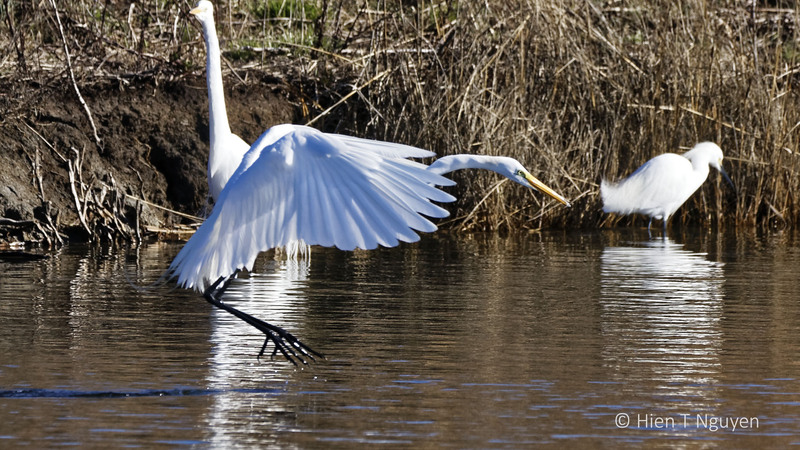 Great Egret diving after fish. Beautiful captures, Hien! 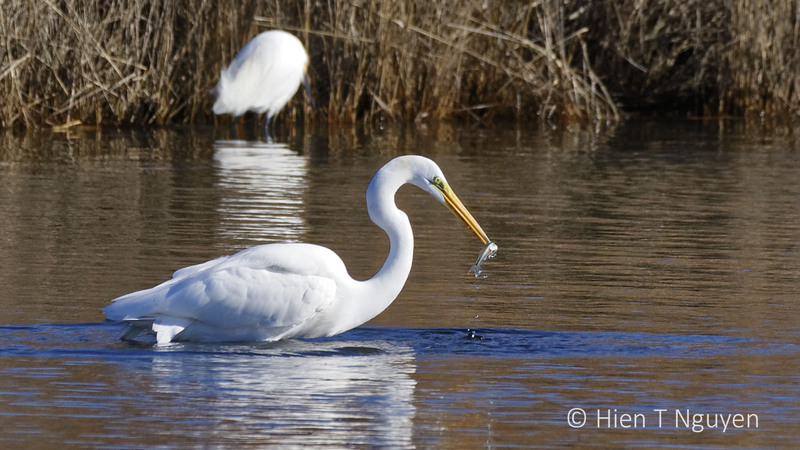 I am happy the Great Egret caught a fish. Me too. Thank you Tiny! Thank you so much, Elle! Glad you like the photos. That last Egret shot is awesome Hien!! Thank you for your kind comment, Mary! Different, but similarities in the pre-strike pose. Your observations on bird life are very interesting. Thank you! Maybe if we had to hunt for our food, we’d act the same way. look at the great egret face when it got a fish: smiling face. Always have fun to see your photographs. Thank you! 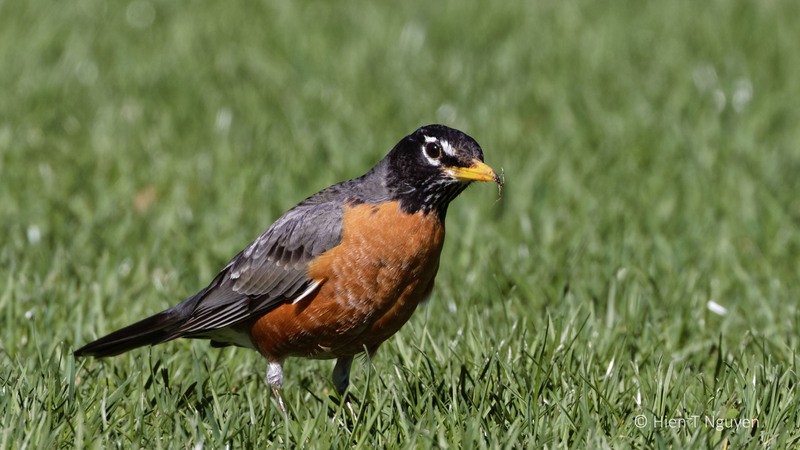 Robin are one of the earliest bird of Spring, and seeing them is a good sign.